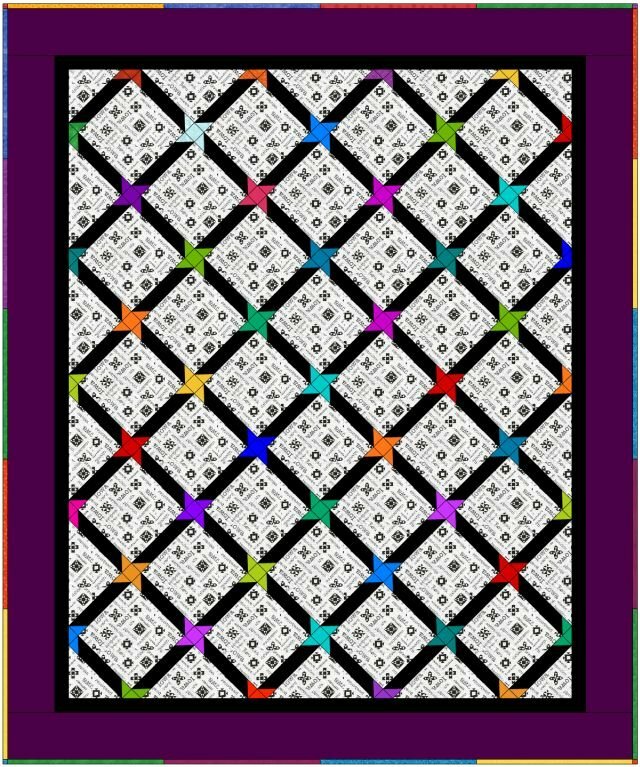 Pattern, except this one, does not use a pieced block and it has two borders. This is a great quilt to use directional fabrics. What is different in this pattern that is not in the other two patterns? The instructions show you how to keep the directional fabrics going in the same direction when you apply the border triangles. You will receive an email receipt with a link to download your pattern. Print your pattern and save it to your computer. You are allowed three times to download the digital pattern. Please save to your computer so you always have it.